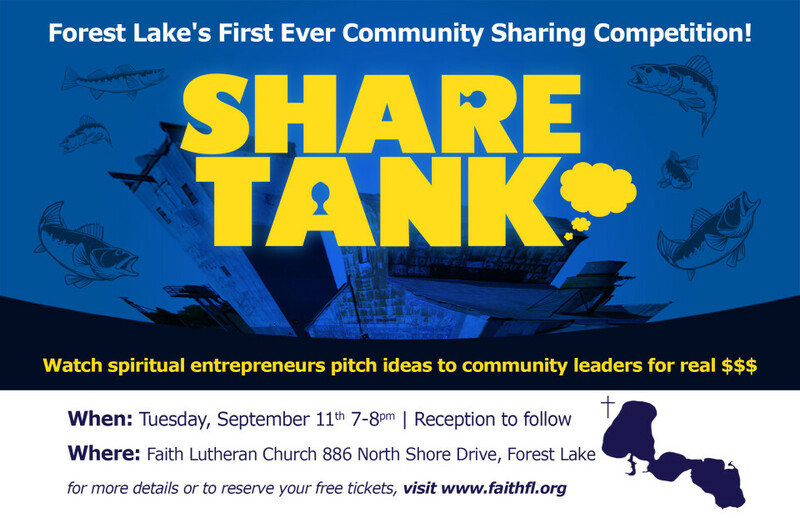 Come to Forest Lake's First Ever Community Sharing Competition! Watch spiritual entrepreneurs pitch ideas to community leaders for real $$$. Event from 7-8 pm. Reception to follow.